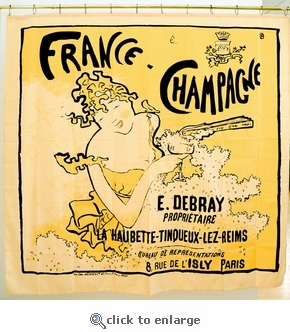 Everyone wants to know: What makes a top Champagne vintage? What factors come into play that might distinguish a vintage year in Champagne from a good year? IN A recent conversation with the drinks business, Didier Depond, managing director of the bijou house of Salon-Delamotte made the surprising assertion that there has been no really good vintage in Champagne since 2008. Depond must have been talking about Chardonnay, for most observers would agree that, with few exceptions, 2012 grand cru Le Mesnil grapes, the sole source for Salon, were relatively disappointing: too big, foursquare and lacking the élan, drive and mineral tones of a serious Chardonnay vintage worthy of the name. Pinot Noir is another matter entirely, as it’s widely agreed that 2012 is supremely a Montagne de Reims vintage (albeit from a small harvest) of quite exceptional quality in top crus of the noble Pinot. Distinguished chefs de caves like Benoît Gouez of Moët, Jean-Baptiste Lécaillon of Roederer and Dominique Demarville at Veuve Clicquot all declare that the 2012 Pinot Noir could be the best since 1952 or 1947. Of course when it comes to the niche category of vintage, the cellar masters can relax a little and take a holiday from making the all-important non vintage cuvée by the fixed rules of detailed calibration and blending to ensure a consistency of flavour. With vintage, the chefs can indulge their artistic, emotional side to capture the distinctive flavours of a particular year. Their lodestar is to shun making vintage by a set formula, the unique character of one specific harvest having precedence over a house style – which is still there but in a supporting role. However, in a nation as individual as the French, who produce more than 300 cheeses, singing from the same hymn sheet is fairly rare and Champagne is no different: an iconic house or a courted domaine each has an individual slant on its winemaking process and certainly is not shy in differentiating its approach from the others.